Most people hate their jobs. We’ve always known it, but now there’s a Gallup poll to back it up. A 2013 survey found that 7 out of 10 workers were disengaged from the job they did. In other words, 70% of employees nationwide just don’t care. And if they don’t care, it means they’re not doing their job as well as they can, and your company suffers. The best way to improve an employee’s performance is to correct what they’re doing wrong and encourage them when they’re doing something right. Unfortunately, in many organizations managers only do the former. This results in employees who feel unappreciated, or like everything they do is wrong. If an employee’s good work is never acknowledged, then what’s the point of even doing good work at all? The only motivation for work becomes to avoid being chastised for doing wrong—which typically inspires employees only to do the bare minimum required of them. However, if you actively encourage your employees when they’re doing well, and let them know that they’re appreciated, it will inspire them to continue working harder and striving to do the best job they can. Improvement goes both ways. It’s management’s job to keep employees at their best, but someone needs to keep management in check as well. And oftentimes, your contingent workers are in the best position to do that. Creating an environment wherein your workers are encouraged to provide feedback on management practices and general company policies will make them feel more like equals in the company, rather than underlings—valued members of a team, whose opinions are important to the people in charge. Additionally, employees who are in the thick of things, day after day, are often in a better position to provide constructive feedback than the higher ups, who merely observe the work that’s going on, rather than actively participating. This is what it all comes down to. If people are passionate about what they do, they’ll do their best at all times and really work to improve things in any way they can. So how do you make your contingent workers passionate about what they’re doing for your company? It starts from the top down. If the CEO is passionate and the board is passionate, and upper management is passionate about the company and what it’s doing, then they’ll be able to inspire that same passion in the employees—even if they’re not permanent parts of the company. That passion can make them feel connected to the company anyway and want to work their hardest to help it succeed. 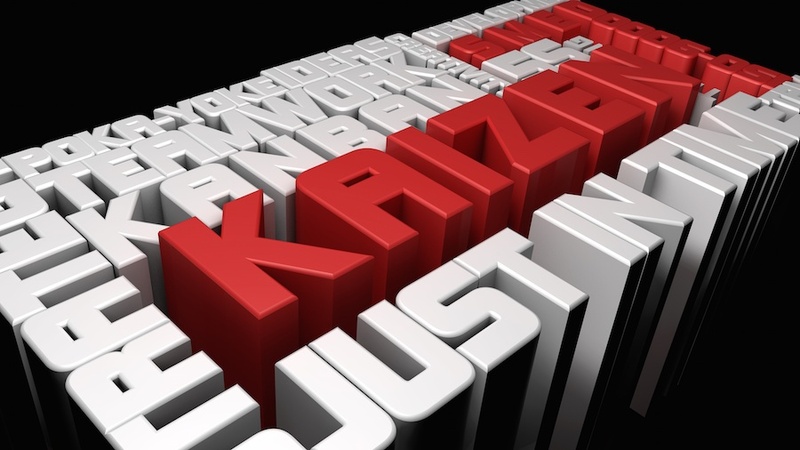 Kaizen is more than just a simple, step by step procedure. It’s a whole outlook, with an almost infinite number of potential applications in business, and in life. If you love your job, then you’ll want to do the best you can at it. If you feel connected to the organization you’re working for, then you’ll be committed to improving things. There’s always room for improvement. But the only way to implement those improvements, successfully and continually, is if your employees care enough about their jobs and your company to make it happen.